The visual identity is based on two main ingredients; our newly developed payoff, “Where nature rules,” and weather statistics from the Norwegian Meteorological Institute. A feed of weather statistics affects the logo to change when the direction of the wind or the temperature changes. On the website, the logo updates every five minutes. We developed a logo generator where Visit Nordkyn can download their logo to the exact weather conditions of that particular moment. 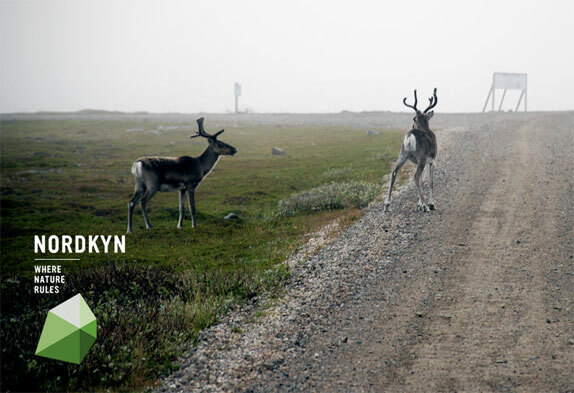 Nordkyn is truly a place where nature rules, even over the visual identity.